Home Home & Garden Which bedroom tribe do you belong to? Bedrooms – havens for sleep, but also a place that may reveal a lot more about your personality than you think, according to new research which has identified five ‘bedroom tribes’. Describing themselves as confident, adventurous and loud, this tribe opt for bright blooms and bold colour schemes. 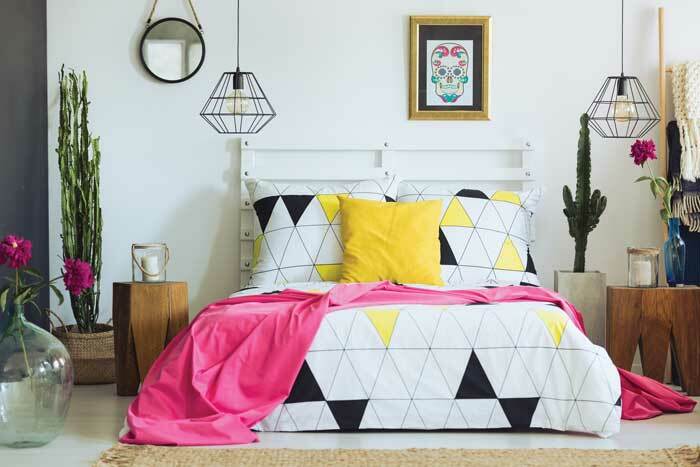 They’re not afraid to play with clashing colour combinations and mixing in retro or vintage styles to make their bedroom the talking point of their home. Orderly and organised but never boring, the Monochromatic Clan are stylish and refined. In the bedroom, this clan keep things stylish with a highly refined colour palette that exudes sophistication and class. The latest tech and clever storage will often complete the sleek finish. Romantic, sensitive and deep thinkers, this group see their bedroom as the perfect way to express the romantic and softer side of their personality. For them, a bedroom should be an escape. Dream Catchers will opt for a limited colour palette with delicate patterns and either bohemian or traditional styling. The Au Naturals are the tribe most likely to pay deeper attention to all areas of health and wellness. 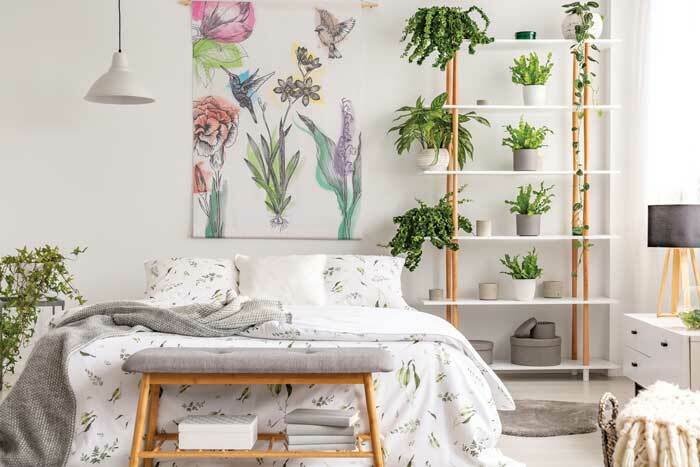 As such, in the bedroom and throughout the home, they opt for a neutral/fresh colour palette, natural fabrics, sustainably sourced accessories and inject the outdoors into their living environment with plants and greenery. Perhaps the most flamboyant of the five tribes, Baroque Boudoir occupiers are creative, romantic, outspoken and passionate. In the bedroom, expect to see bold patterns and colour, ornate mirrors and picture frames, trinkets and vases. Often chaotic, always exciting, these bedrooms are an extension of their owner’s personality – maximalism personified.